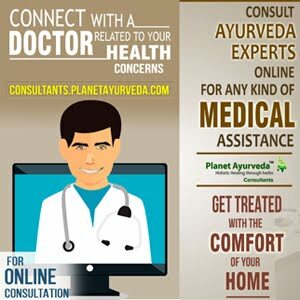 How to Relieve Knee Pain Naturally With Ayurveda Remedies? 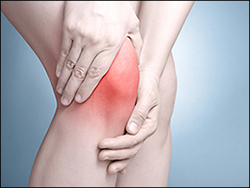 Knee pain is the common problem with many causes, it may from acute injuries to complications of medical conditions. Knee pain can be either localized to a specific area of knee or be diffuse throughout the knee. It is accompanied by physical restriction. It may be the result of injury. It is the common problem that can originate in any of the body structure which comprised the knee joint, kneecap, ligaments and cartilage of the knee. It can affect the people of all ages. WHAT ARE THE DIFFERENT TYPES OF KNEE INJURY? Knee sprains- It is the injury to the ligament that holds the knee together. Knee strains- It occurs when tendons or muscles surrounding the knee are stretched, usually due to hyper flexion or hyperextension of the knee. Knee bursitis- It occurs when a fluid filled pouch (called as bursa) in the knee is irritated, inflamed or infected. Bursas are fluid-filled sacs located around joints that act as shock absorbers that decrease the friction between various tissues. Tears of the meniscus- It can occur from damage in inside the knee. These menisci can be injured acutely or dysfunctional properly gradually due to aging. Knee joint dislocation- It is occur due to high impact, large focus injuries to the knee such as motor vehicle accidents. Knee fractures- It occurs from direct blows to the bone. Patella or kneecap fractures occurs when a person falls directly down onto the knees. And the kneecap cracks due to the force. Inability to fully straighten the knee. Acute injury such as broken bone. WHAT ARE THE RISK FACTORS FOR KNEE PAIN? HOW CAN BE KNEE PAIN DIAGNOSED? X-Ray- It detects bone fractures and degenerative joint disease. CT Scan- CT scanners combine X-ray taken from many different angles, to create cross sectional images of the inside body. CT scans can help diagnose bone problems and detect loose bodies. Ultrasound- This technology uses sound waves to produce real time images of the soft tissue structure within and around knee. Magnetic Resonance Imaging- MRI uses radio waves and a powerful magnet to create 3-D images of the inside in knee. This test particularly useful in revealing injuries to soft tissue such as ligaments, tendons, cartilage and muscles. Shudh Laksha- It is also known as Iaccifer lacca. It is helpful in pacifying toxins from the bone and nervous tissue. It is high content of calcium compounds. Suhanjana beej- It is also called as Moringa oliefera. It is rich source of natural calcium which is required for bones that keeps them strong and healthy. It is very good for many bone disorders. Hadjod- It is ayurvedic medicine called Cissus quadrangular which is useful in many bone diseases. It contains high content of calcium which helps in many bone disease such as osteoarthritis, osteoporosis, low bone density, bone cancer etc. Arjun- It is known as Termanalia Arjun It is very useful in bone strengthening and low bone density which is the cause of many bone disease. Praval pisti- It is also called as Corrallium rubrum. It is beneficial in many bone related problems, as it is the rich source of calcium. It is also a very good immune modulator. Mukta- It is pearl calcium compound. It is natural source of calcium which makes bones healthy. Dosage- 1 capsules twice a day at least 30 minutes after meals. It is widely beneficial to maintain the strength of muscles and reduces pain in the body. It is beneficial in relieving pain, swelling, inflammation and stiffness. It is prepared by using standardized extract of pure quality Guggul (resins). It helps in balancing all three doshas which are Vata, Pitta and Kapha. Dosage- 1 capsule twice daily at least 30 minutes after meals. It is the unique herb which has anti-inflammatory properties. It is beneficial in inflammation, swelling and pain. 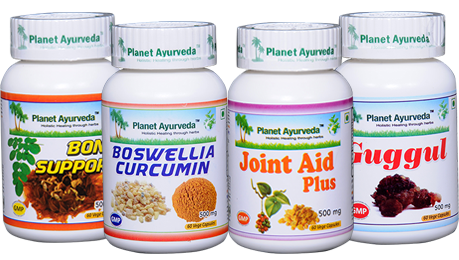 It consists of the extracts of Nirgundi, Shallaki, Gugggul, Ginger, Giloy and Ashwagandha, these all herbs acts synergistically and control acute and chronic inflammatory reactions. It is an effective supplement for chronic and acute arthritis pain and inflammation. Dosage- 2 capsules twice daily at least 30 minutes after meals. It is the most effective supplement for arthritis. Curcumin is very effective anti-inflammatory herb having effects similar to the efficacy of corticosteroids. It helps in decrease inflammation and promotes circulation to the joints. It is very effective to balances all three doshas.